Sustainable Biodiversity is of the up most importance when it comes to the production of prescription drugs. 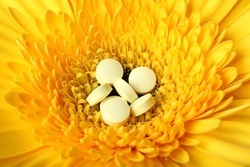 Most prescription drugs are derived from many living organisms within our natural ecosystems. When biodiversity becomes unstable many of those needed organisms become extinct, causing the particular prescription drug to not be available. According to the Ecological Society of America found within their Ecosystem Service Fact Sheet.